Apple changed the smartphone world back in 2007 with the launch of the original iPhone, and has been famed for the sleek designs and innovative features it has provided. The company hasn’t had things all its own way in recent times though with many once fans becoming disappointed with the last couple of releases, but an all aluminum iPhone would be a mistake in many people’s eyes. According to reports Apple has recently gained the rights to what is known as microslot antenna technology, which would allow the company to further reduce the size of the components found inside the iPhone. 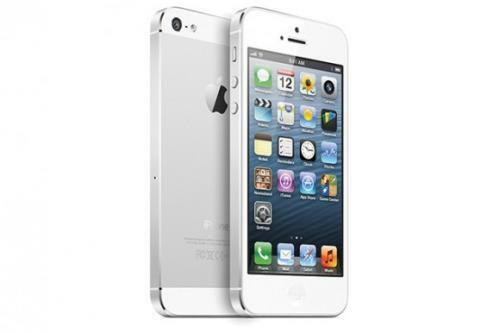 The iPhone 5 uses two radio antennas that switch between multiple frequency bands, but the new technology would allow a series of tiny slots in the handsets casing to double as the antennae, as long as the casing is made from a conductive material. This could mean that future iPhone handsets could be completely manufactured using aluminum, but shortly after the iPhone 5 was released owners were reporting of handsets becoming easily scratched, and raises fears the problem could be even worse with a handset made completely from the material. Obviously owners of any smartphone can protect the device with a case or bumper, but many don’t like to add bulk no matter how minimalist the product, or cover up those stylish looks. This could lead to any new iPhone becoming scratched easily unless Apple could come up with some kind of coating to prevent this. Do you feel an all aluminum iPhone would be a bad idea? Yup, hope that they have a solution when the iphone 5S introduction. Coz the black one appear to be more obvious when it scratched.